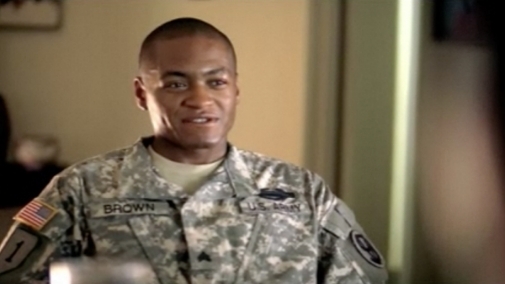 "SGT Tyree Brown, firm believer of t..."
"SGT Tyree Brown talks about how the..."
When Rosina Brown found out her son, Tyree, was enlisting in the Army, it was hard for her to accept. But she couldn’t deny that the Army could really help her son’s future with financial assistance for college and career training, so she gave him her support. Now she’s proud of his decision and believes that the skills and discipline Tyree has gained in the Army have molded him into the mature family man he is today. 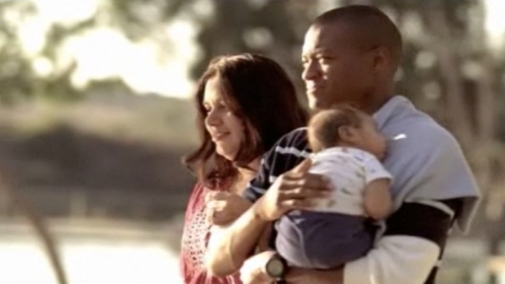 She and her son can’t help smiling when they look back on his decision to enlist. Before he joined, he had a job but wanted more out of life. As a young man, Tyree was seen as a “shy” person and even a “video geek,” his dad, Leon, recalls. However, he credits his son’s Army experience and training with helping him to break out of his shell and become a man. “The Army, it gives you the confidence that you can do whatever you want to do,” says Tyree. The skills and lessons Tyree has learned in the Army continue to make him a stronger and more responsible person. Tyree says, “It’s a totally different view that people see of me.” He has applied those lessons to his life and deeply believes that had it not been for the Army, he would not be the type of husband or father he is today. Leon thinks his son has changed drastically since joining the Army. “It made him focus straight ahead on what he wanted to do.” He’s proud to see how Tyree has matured and prioritized his life.Leon always wanted his kids to achieve their best and feels that the Army has given his son the tools to attain his goals and have a successful future.